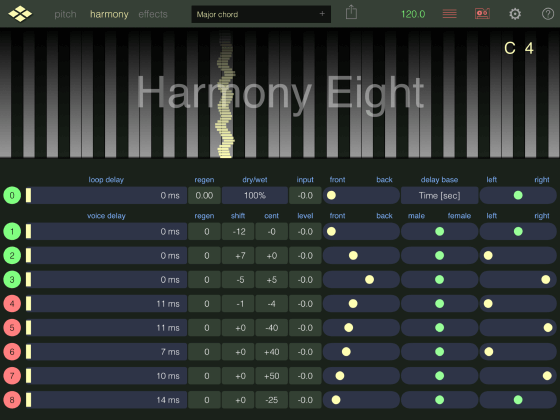 VirSyn has announced the release of Harmony Eight, a new app for iPad and iPhone that creates up to 8 pitch shifted voices from your input vocals or monophonic instruments. Modify the voice character from male to female and vice versa. Pitch shift each voice in the range of +/- one octave with preserving of formants for natural sound. Applying separate feedback delays on each voice creates complex rhythmical patterns. 8 Voice Pitch Shifter with formant correction. 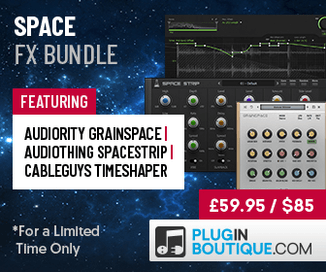 8 Independent delay lines with optional sync. 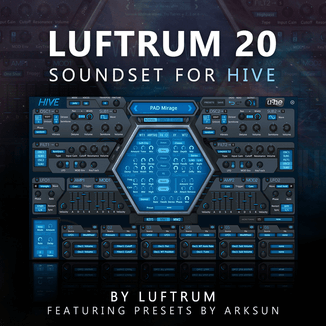 Harmony Eight is available for the introductory price of $6.99 USD for a limited time.